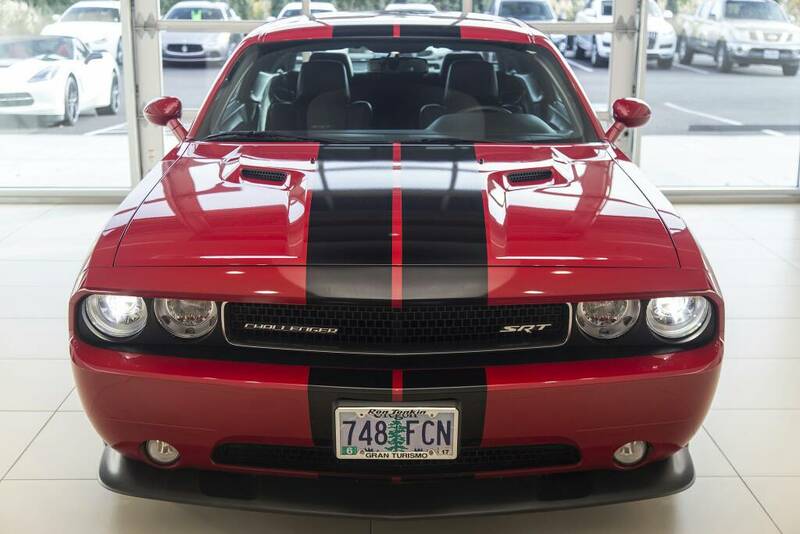 Dodge Challenger Forum: Challenger & SRT8 Forums > General, Performance, and Technical > General Challenger Discussion > Redline Red Tri-Coat Pearl VS Tor Red? RP is also metallic, while Torred is non-metallic. Yep, and it really pops in the sun. OP, if you're not a metal flake guy, you may not like it It's really hard to compare/judge colors just by pics. Before ordering my '16, the wife and I spent a fair amount of time hitting dealerships at different times of the day, to see what the colors really looked like. IMO, color is the most important option! Best of luck on your choice. One more for you. In my opinion, this is a very accurate picture of redline red pearl. This is not my car. No credit taken. The color really pops in the sunshine, which we don't get too much of here in the PacNW. It has no maroon in it at all. Spectacular. That is what I am looking for! Yes, I live just up the road, south of Oly a bit. I see so much rain my toes have grown together. Yep - that metallic is key as to whether you will like it. I owned a Redline Charger and a Tor Red Challenger. I have also seen a Redline Challenger in person. In my opinion Redline looks way better on the Charger and Tor Red is better suited for the Challenger. I didn't realize that my Redline was metallic until I had it over a week, and we got a sunbreak. Hemi503 your car is a twin to mine. Redline has to be seen in person to fully appreciate it. I don't know if Tor-red costs extra but Redline is a $500 option. I just bought mine about 2 weeks ago. I love the color! I have no dog in the fight regarding helping you with the different reds but I tell ya the more I look at those reds the more I like them. Yeah it's funny how certain colors look better on certain makes/models of vehicles. For example yellow looks good on any sports/muscle car but try to pull that off with a luxury sedan...yikes! I want a Challenger...bad! - Mission Accomplished! Here is a side by side. Torred shaker on the right. My redline pearl on the left. They both look red by themselves, but next to each other the torred has a little orange in it. I've named my challenger Jessica as it reminds me of Jessica Rabbit's red lipstick. Also the car's attitude is very Jessica like.. a bit wild and you have to keep her under control. I think the metal flake in the Red-Line look like Jessica's sparkly red dress and the Tor-red is her lipstick. 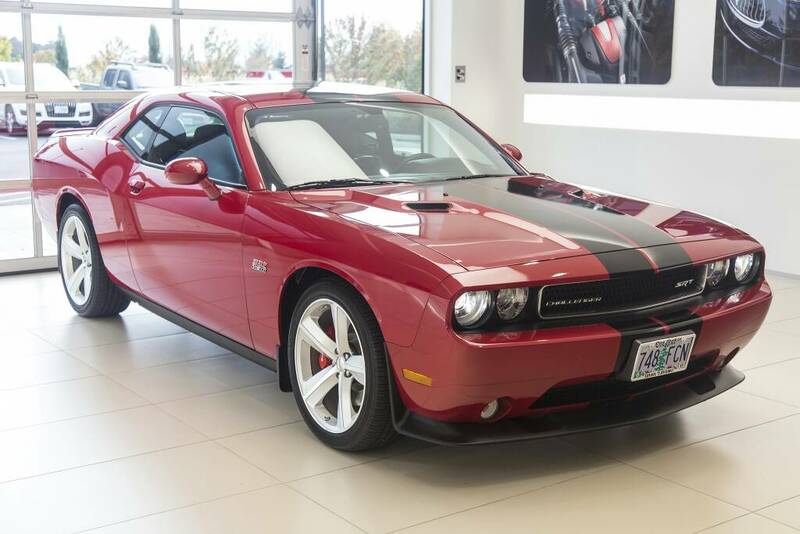 I am going to order a Challenger in the spring and torn between Red-Line and Granite Cristal. I'll tell you one thing. I don't know what part of the country you live but granite crystal holds up better between washes than anything I've ever seen. My car before my Challenger was a granite Charger and I would always get compliments on how "clean" my car was even if it had been a few weeks since I last washed it. However make sure you look at lots of pics in both colors in various light conditions before making your decision. 04-19-2019 03:43 PM by Jimmy N.